Welcome! I am Vincent M. Blazewicz, an Advisor to the Special Needs, LGBT and Business communities, located in Paramus, NJ. We understand that you face unique challenges as you plan your financial future. We can help take the mystery out of preparing for today and tomorrow. Whether your goal is getting your child the free and appropriate education they deserve, saving for your retirement, planning an estate strategy or navigating a Buy-Sell Agreement for your business, our personalized service focuses on your needs, wants, financial goals and objectives. 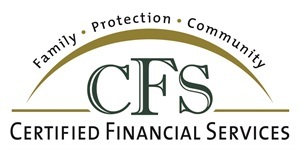 I have 36 years of experience in the financial services industry, and I am very fortunate to work with true professionals at Certified Financial Services, LLC. We take a multi-generational, "protection first" approach, addressing your needs of today and helping you plan for a better tomorrow for yourself, your children and future generations. We look forward to working with you through all stages of your life. Please call (201) 843-7700 x312 to arrange an appointment.